A soothing, cooling all-in-one lotion perfect as an aftershave balm, or for sun and wind damaged skin on face and body. Softens, soothes and protects overly dried, sensitive, razor burnt or hardened skin. 100% Vegan. 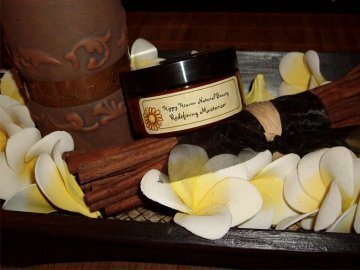 Natural Vitamin E moisturises the skin and soothes skin conditions. Calendula Oil refreshes and revives dry skin, promoting elasticity for overly dry or hardened skin. Very cooling and soothing on sun and wind damaged skin and excellent as an aftershave balm. Evening Primrose Oil is super soothing on skin damaged by exposure to the elements. Aloe Vera Juice soothes and cools dry and peeling skin and improves the appreance of redness. Cypress and Tea Tree Esssential Oils provide anti-bacterial action and improve the appreance of redness or razor burn. Men Moisturise Face and Body Lotion will leave the skin feeling refreshed and soothed. Use first thing in the morning to provide all day protection from the elements, or in the evening to moisturise skin while sleeping.